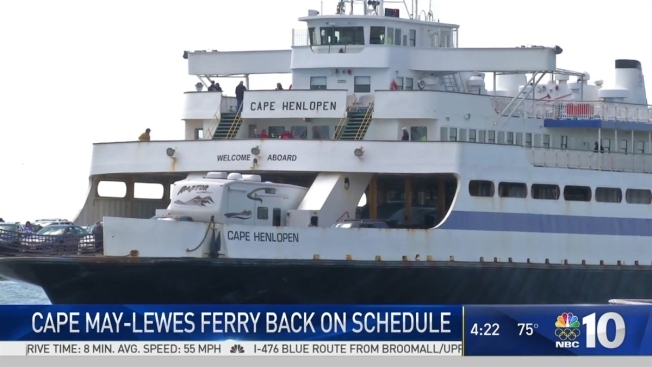 The Cape May-Lewes Ferry is back on schedule following repairs to one of the boats that shuttle passengers and vehicles between New Jersey and Delaware. Three ferries were operating Wednesday and the boats resumed their normal summer service. Only two vessels were in service for two weeks after the Motor Vessel Delaware needed crank shift repairs to one of its new main engines. The new engines were under warranty.